Mecklenburg homeowners face higher property taxes in 2019. It’s been eight years since Mecklenburg County undertook a property revaluation for tax purposes. North Carolina state law requires a revaluation at least once every eight years. This week, Mecklenburg County begins mailing thousands of property value notifications to homeowners. 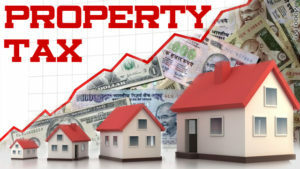 Charlotte area homeowners should be prepared for some surprises and for increases in their property taxes, although until each town in Mecklenburg sets its tax rates later this year as they set their budgets, it’s still unclear how much property taxes will increase. There is always the chance that some of Mecklenburg’s towns will reduce tax rates to keep the impact from increased property values relatively neutral. According to the county assessor’s office, the total median value of Mecklenburg County real estate increased 54% since the last revaluation in 2011 — a 43% increase in residential property values and an astounding increase of 77% in commercial property values. Commercial property includes apartment buildings, so it’s likely renters can start expecting an increase in rent rates at some point soon. With almost 372,000 parcels that have been revalued in the County, it might take some time for property owners to receive their notices. So, if you can’t wait to receive your property revaluation notice in the mail, you can find the information on-line, beginning tomorrow, Thursday, January 24th, on the Mecklenburg County Property Information System portal. Request an informal appeal on-line. 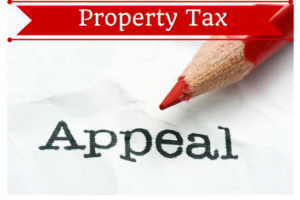 File a formal appeal with the Board of Equalization and Review by May 20, 2019. After you’ve received your Notice of 2019 Real Estate Assessed Value, visit the property information portal and enter the parcel number found on your Notice to review your assessment. View sample notice. You can request an informal review of your assessed value within 30 days of receiving your notice. If you wish to skip the informal review, you can file a Formal Appeal request with the Board of Equalization and Review (BER) by May 20, 2019. For more information about the revaluation process, property tax exemptions, filing appeals, etc. you can go to Mecklenburg County Assessor’s Frequently Asked Questions page. Contact the County Assessor’s office at AssessorQuestions@MeckNC.gov or call 980-314-4226. This Mecklenburg County property tax revaluation update is provided by Nina Hollander and Carolinas Realty Partners with Coldwell Banker Residential Brokerage, your Charlotte metro area residential real estate experts. We’ve been opening doors for Charlotte region home buyers and sellers for 20 years. Mecklenburg County homeowners prepare for higher taxes in 2019. No doubt you've heard the buzz about the 2019 Real Estate Property Tax Revaluation that has just been completed. 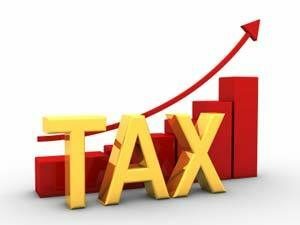 With the median increase in all property values (residential and commercial) estimated at 54%, it's fair to assume that property tax values in the Charlotte area are going up--WAY up! If you own property in Charlotte, Pineville, Matthews, Mint Hill, Davidson, Huntersville, Cornelius more than likely you'll be affected with higher property values and an increase in property tax.